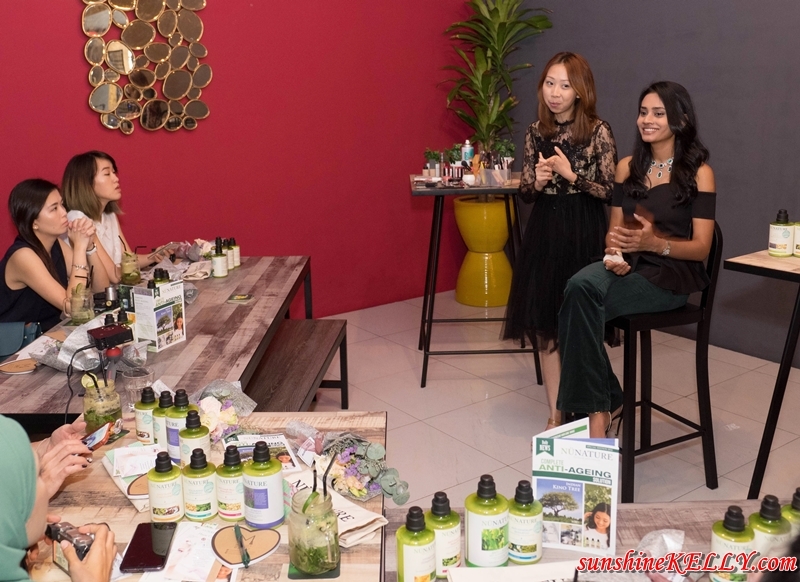 Hey last weekend we were at the Green & Glam Beauty Workshop at Nutz n Boltz Snazzy Restobar in Bandar Puteri Puchong. There were series of talks, workshop and sharing session about beauty, hair, makeup and also lifestyle. 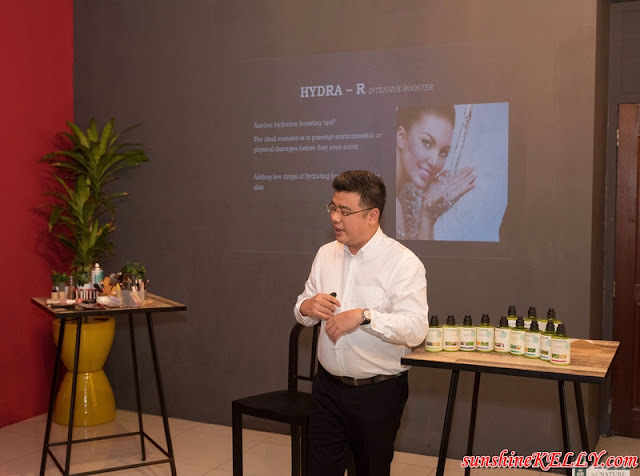 Here are some hair tips to restore youth to our crowning glory and the introduction of the complete anti-aging solution by NuNature, knowledge about skin booster a subtle and gradual change in skin quality and elasticity by Dr Adam Tan. Then follow by the makeup and hairdo demo by Moments with Mandy Makeup Studio. There were so many things to learn on that day. 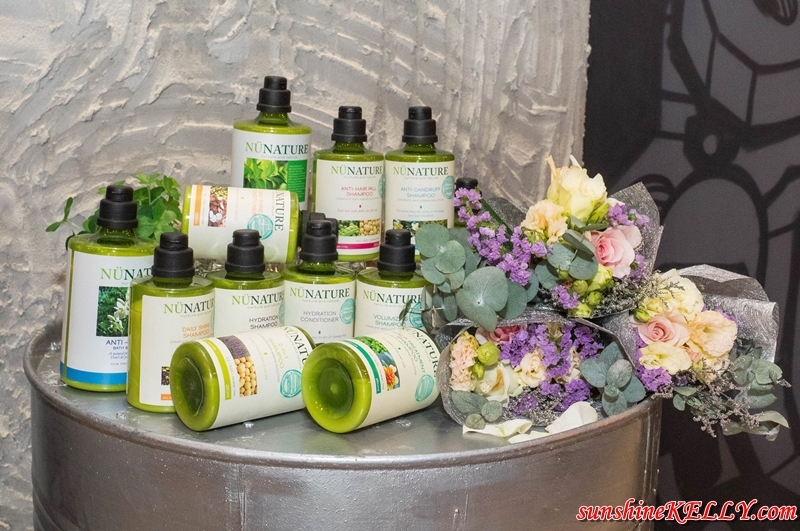 Nunature Hair Care now has the complete anti-aging solution for our hair, it’s a natural haircare range with precious botanical ingredients, devoted to our hair’s wellbeing. All Nunature products do NOT contain Sodium Lauryl Sulphate (SLS), Sodium Laureth Sulphate (SLES) or Paraben, and is safe for everyday use, so you can pamper your hair gently without any side effects. They have many types of shampoo, conditioner and also bath & shower cream that suit our need. I have some hair fall problem and slight flaky scalp to I decided to try their Anti-Hair Fall Shampoo, Scalp Treatment Shampoo, Hydration Conditioner. I also received the Anti-Acne Bath & Shower Cream to try but this shower cream is not so suitable for my skin because I don’t have acne and my skin is dry. However I like the gentle anti-hair fall and scalp treatment shampoo. My head feels very light and fresh after shampoo and I noticed that there are less hair fall when I washed my hair. Overall their shampoo is quite good and mild. The ultra-mild formula protects hair from everyday damage while preventing it from aging. I am looking forward to try out skin booster treatment at the Tropicana Clinic. According to Dr Adam Tan this treatment works subtly and gradually on our skin to improve the skin elasticity and radiance. During the workshop we also picked up some makeup and hairdo tips by Moments with Mandy Makeup Studios. Ms Sugeeta Chandra, Miss Universe Malaysia 2015 3rd Runner up as the model for the makeup and hair. It was a fruitful day and had fun during the Green & Glam Holistic Beauty Workshop. 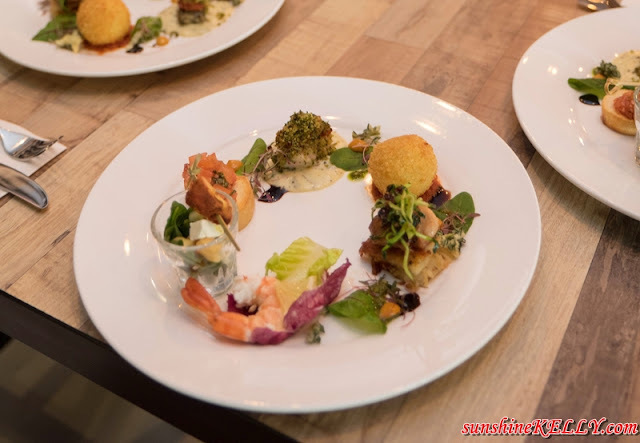 The food looks great and so do you. I'm happy that you learned so many things. Happening event it seems! I love attending such events. You go to many beauty workshops! Do you think they are all about the same or do you think they are different?